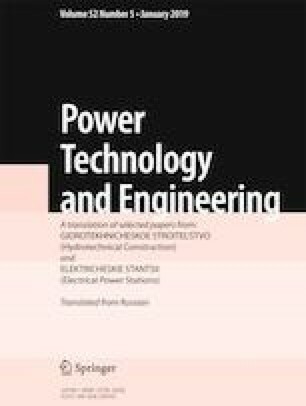 Results of numerical simulation of the process of heating of the nozzle blade of a steam turbine in order to reduce the concentration and sizes of droplets that can induce erosion are presented. Results of numerical simulation of the motion of polydisperse flow of moisture accompanied by the formation of a film on the surface of the blade are compared with experimental data. A technique of calculating heating of nozzle blades as an effective method of combatting erosion is developed. Results that show that the efficiency of heating is significantly higher than intrachannel separation are obtained. The present study was carried out with support from a grant of the Russian Scientific Foundation (Project No. 17-79-10181). Translated from Élektricheskie Stantsii, No. 8, August 2018, pp. 12 – 18.